US equities, as seen by the S&P 500 Index, rose 6.06% in the first quarter of 2017. While a casual observer may attribute the market’s strength to optimism regarding President Trump’s plans for deregulation, healthcare reform and tax reduction, perhaps it was actually strong economic data that drove equity prices higher. Indeed, the S&P 500 rallied to a new all-time high in March and has achieved an impressive run of 6 consecutive quarters of positive returns. While this streak is likely due to mean revert, for the time being, the stock market has given investors little to complain about. Approximately one year ago, sentiment toward US stocks was horrible. The AAII US Investor Sentiment Readings showed extreme low levels of bullishness and high levels of bearishness. What a difference a year makes. Since January 2016 the S&P 500 has gained 25%. AAII sentiment has now swung the opposite way and several market indicators are showing overbought conditions. The stock market has never gone straight up forever, and a correction would be healthy. Further, it’s probably overdue given the rate of ascent and shift in sentiment. Strong economic data has supported higher stock prices. The ISM Manufacturing PMI (Institute for Supply Management Manufacturing Purchasing Managers Index) has risen for 8 consecutive months, climbing to over 57. Readings over 50 indicate expansion and the gauge of manufacturing activity was rising long before President Trump ascended to the White House. Meanwhile, US home sales have risen to a 9-year high, with the inventory of homes for sale at low levels, supporting prices. The result is strong sales volume at better prices, a winning combination for households’ net worth and consumer sentiment. Unemployment rates fell to 4.7%, rivaling levels not seen since before the sub-prime crisis of 2008. The strongest sectors within the S&P 500 have been technology and consumer discretionary (two cyclical areas) followed by healthcare. Failure to replace the Affordable Care Act rattled the sector briefly, but it had been up over 10% year-to-date at one point before ending the quarter up 8%. Not too shabby given the sector’s uncertainty and opposition toward the administration’s replacement plan. The market’s notable laggard has been the energy sector. The group, which had been a standout performer in 2016, continues to recover from the excess capacity and shale boom that occurred over the last decade. Corporate earnings remain strong and high profit margins have been resilient. A notable byproduct is the amount of stock buyback and dividends. Nearly 84% of S&P 500 companies now pay a dividend. Stock buybacks also create a virtuous cycle, where companies reinvest cash to retire shares, boosting earnings per share and creating the impression of earnings growth. Yardeni Research calculated that over the last year, S&P 500 companies spent over $536 billion on stock buybacks and an additional $396 billion on dividends. Going forward, the Goldilocks scenario of the last six months is unlikely to remain. The stock market typically does a good job of looking ahead, but given the rate of ascent and valuations, a less than perfect unfolding of economic data could cause a correction and increase volatility. Wage pressures due to the low unemployment rate and other subtle signs of inflation are already affecting profit margins for some sectors of the economy. A surging stock market and decent economy also increase the probability of the Federal Reserve raising short-term interest rates. While higher rates themselves are not too concerning, risks of a policy mistake tends to affect the stock market negatively. Market internals also indicate interest in more defensive sectors and growth stocks. This is to be expected as growth becomes scarce or a preference for stability emerges. We remain optimistic about the long-term outlook for the market as company fundamentals remain strong and the global economy is showing signs of strengthening. We are also realistic that sometimes the market gets a little ahead of itself, economic data fluctuates, and geopolitical macroeconomic issues (i.e. Greek default, Brexit, Crimea annexation, etc.) can rattle investor sentiment and hurt risk assets such as stocks. For the time being however, there is little to complain about. 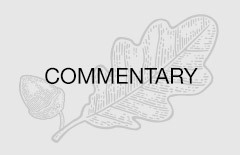 This manager commentary represents an assessment of the market environment at a specific point in time and is not intended to be a forecast of future events, or a guarantee of future results. This information should not be relied upon by the reader as research or investment advice. The S&P 500 Index is a commonly-recognized, market capitalization weighted index of 500 widely held equity securities, designed to measure broad U.S. equity performance. One cannot invest directly in an index. The AAII US Investor Sentiment Survey has become a widely followed measure of the mood of individual investors. The weekly survey results are published in financial publications including Barron’s and Bloomberg and are widely followed by market strategists, investment newsletter writers and other financial professionals. The ISM Manufacturing Index is based on surveys of more than 300 manufacturing firms by the Institute of Supply Management. The ISM Manufacturing Index monitors employment, production, inventories, new orders and supplier deliveries. Brexit is an abbreviation for “British exit,” referring to the UK’s decision in a June 23, 2016 referendum to leave the European Union (EU).